Click now for your instant approval! We finance your future not your past! Great and friendly service. Thank you for great customer service. I feel that I was helped in a timely manner and was dealt with respectively. Been a customer for many years. Earnhardt Lexus always comes through for me. All promises are kept which is a HUGE sign of great customer service. Won't go anywhere else! 19 Mr. Ed Locations in Arizona! The Road to Good Credit Starts Here! Bad Credit? No Credit? We Can Help! For over 25 years, Mr. Ed's Loan Experts have specialized in acquiring auto financing for people with bad credit. We understand that credit problems can happen to anyone and we are here to help get your credit back on track. 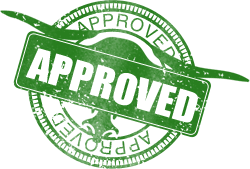 Our auto loan approvals are good at all 19 Earnhardt locations throughout Arizona. We have thousands of vehicles to select from giving you an amazing variety of new and used cars, trucks and SUVs. Whether you've had bad credit, poor credit, fair credit or no credit at all, Mr. Ed can help. Even bankruptcy is no problem for Mr. Ed! Our experts are ready and waiting to help you find the perfect vehicle. So apply now and fill out your confidential loan application with one of our loan processors and take the first step to rebuilding your credit. The Mr. Ed Credit Department operates within all 19 of the Earnhardt Auto Centers dealerships located throughout Arizona there's sure to be a convenient location near you! We have dealerships specializing in bad credit auto financing in Chandler, Gilbert, Mesa, Phoenix, Tempe, Maricopa County, Avondale, Goodyear, and beyond! Why take chances with a buy-here pay-here pot lot, or a dealer who treats customers with past credit problems like second-class citizens? At the Mr. Ed Department, bad credit auto loans are all we do. So come on in and don't forget to ask for Mr. Ed!. We understand that bad credit happens to good people, and we firmly believe everyone should have a chance to repair past credit problems. The Mr. Ed Department is designed to take the anxiety out of the car buying experience regardless of credit. Above all, we believe everyone deserves to be treated with respect. So apply now and see how the Mr. Ed experience will forever change the way you look at buying a vehicle.